Details: used for 2 weeks gently. Strung with RPM Blast 15l at 55lbs. Both racquets were used equally and have a few bumper scuffs and a few scratches on the sides. 6grams of Lead tape at 12 on the hoop. 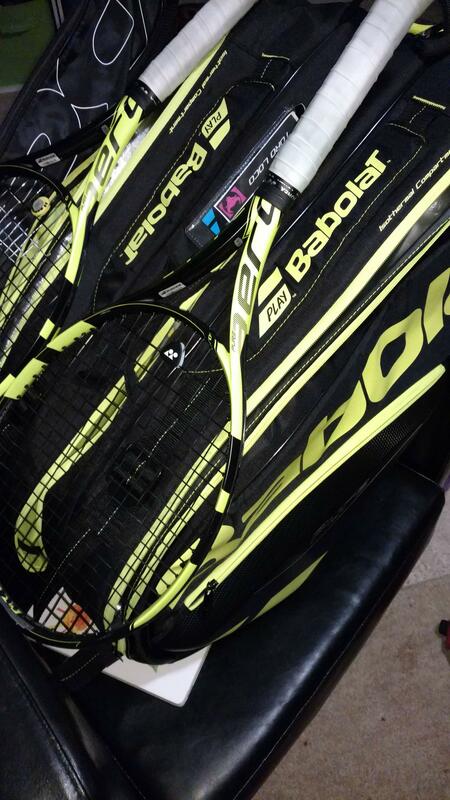 2 Pure Aero Plus racquets available along with Babolat Aero 12 pack. All in 9/10 condition. I'll trade a Blade SW104 for one racket if you're interested?